Fig. 3. Medial joint space width was defined as the distance between the apex of the medial condyle of the femur and the tibial posterior end. 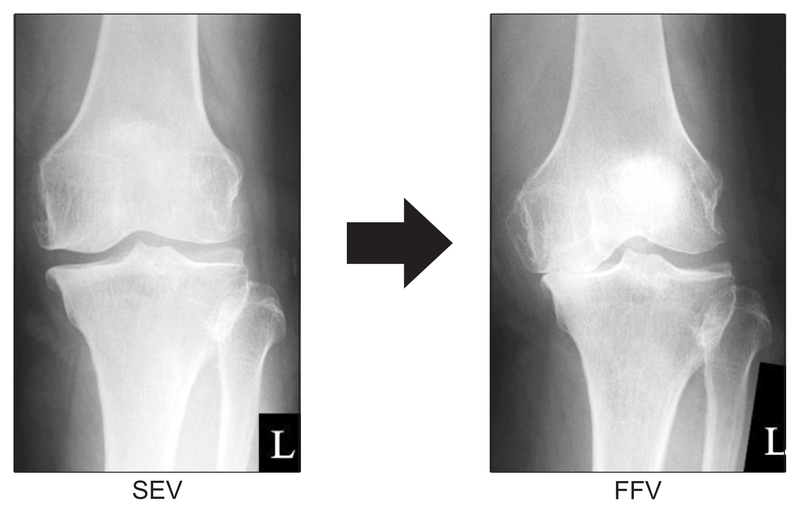 SEV: standing extended view, FEV: fixed flexion view, L: left.